All Points Heating offers home air conditioning, air conditioner installation, air conditioner maintenance that deliver reliable, proven performance at high efficiency. Whether you need a small, portable air conditioner or a central air conditioning system, our well-trained professionals can help you select the right system for your home. Small and easy to use, portable air conditioners are a great option for cooling smaller spaces. Consider size, maintenance, noise level, placement and efficiency before making a decision. All Points Heating provides a variety of portable air conditioners, with expert advice to help you select the perfect unit for your home. Mounted in standard double-hung windows, window air conditioners can be the best choice for individual rooms that don’t have access to sufficient cooling. With electric requirements, size considerations and periodic maintenance to think about, All Points Heating can help you select the right high-quality window air conditioner system to meet your cooling needs, and provide expert installation. 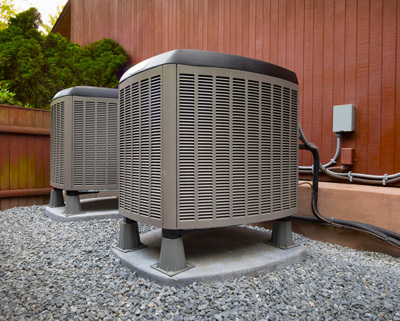 Selecting the right size central air conditioning system for your home is very important, as is choosing either a package system, which keeps condenser, fan and coil all in one unit, or a split system, which places the condenser outside the home and the fan and coil inside. Proper placement is also essential to ensure proper and uniform cooling. The pros at All Points Heating make sure you make all the right choices for your home. Ductless air conditioning is, of course, ideal for homes without ducts, but is also a versatile solution for a variety of other situations. Instead of pushing cool air through shafts in walls, attic and floor, ductless systems circulate air directly to specific rooms. Very cost-effective, and energy-efficient, and providing greater control over when and where the air goes in your home, All Points Heating can help you select the best ductless air conditioning system for your needs. Heat pumps work very well in temperate climates like King and South Snohomish counties. Running on electricity, a heat pump is a cost-effective solution using a refrigeration cycle like that which cools your refrigerator, but in reverse. Instead of warming or cooling the air already inside your home, it draws heat or cool from the air outside and pushes it through the ventilation system of your home. All Points Heating can answer any questions you may have about home air conditioning, and provide the right solution for your particular situation. We also specialize in air and water heating systems, air filtration systems, fireplaces, stove systems, grills and outdoor living concept installations, home power generation systems and 24/7 maintenance services. Call or email us today, and don’t forget to check out our special online offers!